The Unsmoke Blastmaster Electric Fogging Machine is a versatile electric fogger makes cleaning and deodorizing fast and easy. 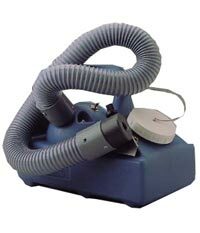 Constructed of rugged molded polyethylene, the Blastmaster electric fogger is great for duct sealing, deodorizing and disinfecting. The Blastmaster features ultra-low volume output that produces extremely small particle sizes. This means even dispersal with little waste of product, making it highly effective for use with disinfection and odor control applications. The Blastmaster is suitable for applying water or solvent-based formulations.